This chapter describes the primary rotational stability of cemented stems. The 6-DOF measurement system type Heidelberg-Göttingen, which can track the complex spatial movement of stems, has characterised the anchoring stability of more than 50 uncemented stem designs. 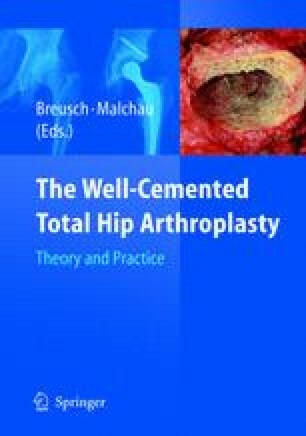 Different polished cemented hip stems have shown an overall tight fixation and excellent torsional stability using this system. Measurements have been repeated after debonding of the stems.